Here you can know more about what is Nvidia G-Sync, its benefits, why G-Sync is better than V-Sync to eliminate screen tearing and the best G-Sync monitors available today. The g-sync monitors listed here are selected from numerous options considered and are the best available today. 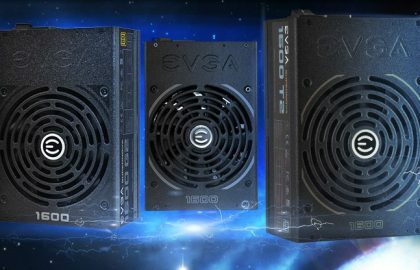 It has been raining since 2013, the year in which Nvidia introduced G-Sync, a new proprietary technology that attracted a lot of attention at the time, but that has been eclipsed by other technologies, some of Nvidia itself. G-Sync is a technology that allows us to play more comfortable, while it does not make games look better. For the presentation of G-Sync, Nvidia had some of those cutting-edge games (or more powerful engines) in history. 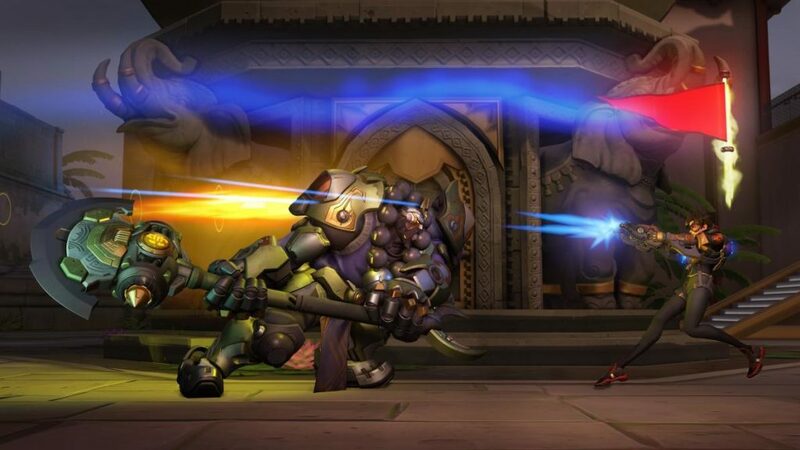 John Carmak (father of Doom), Johan Andersson (technical director of the Frostbite engine of the Battlefield and Battlefront series) and Tom Sweeney (director of Epic Games, creators of the Unreal engine, Fortnite, Unreal Tournament or Gears of War ) were those who counted the benefits of G-Sync. It was in 2013 and things have not changed much. The summary is simple: it is a technology that allows eliminating the “tearing” on the screen. Of course, before going into more details, we have to see what is the ” tearing ”. 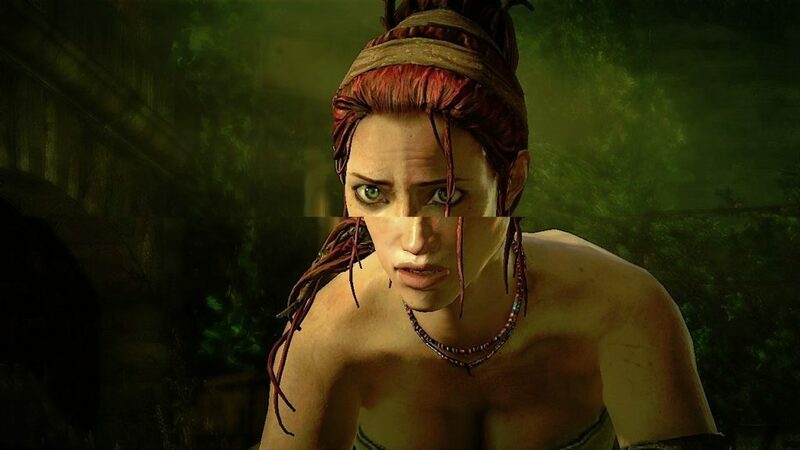 The image that you have above corresponds to a game, Enslaved(developed by Ninja Theory, parents of Hellblade) that suffers from ”screen tearing ‘. The explanation is simple. There is a mismatch between the signal of the console or PC and the refresh rate of the monitor or television, which causes the image to be cut. Obviously, this happens in fractions of a second, but it is something that is obvious for us to notice. How does the ”screen tearing” happen? With vertical synchronization or V-Sync. Vertical synchronization is something that we have enjoyed for years on PC and some consoles. The V-Sync forces both the monitor/TV and the machine to operate at the same frequency. It is the graphics card that is responsible for performing these calculations, which produces an increase in the consumption of resources in the graphics and, in addition, a latency evident in very fast games. The V-Sync consumes many graphics resources, which lowers the frame rate. There comes into play G-Sync since it is not something for software, but hardware. And, G-Sync is a Nvidia chip that is incorporated into the monitors, being responsible for making the appropriate calculations to eliminate tearing by synchronizing the refresh rate of the image that comes out of the graph with the one shown in the display. 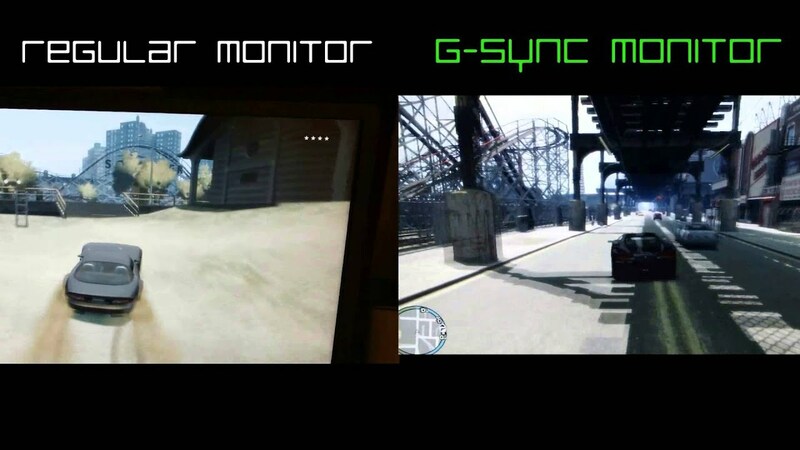 G-Sync performs the same task as V-Sync, but instead of being the GPU that forces the image of the monitor, it is the monitor that regulates the input signal and adjusts it at all times to the different refresh rate. Little by little, the market has flooded with monitors with G-Sync and, in addition, we are also seeing gaming laptops that incorporate it to further improve performance. The problem with G-Sync is that it only works with Nvidia graphics cards. For AMD, there are Freesync monitors available which are as good as G-Syncs. Another issue is the huge price tag. It is not for casual gamers on a budget. If you are pretty serious about gaming and can afford one, G-Sync monitor will definitely be a bang for the buck. So, if you have Nvidia Graphics card and looking for a good G-Sync monitor, we have narrowed down the huge list to the best g-sync monitors available on the market to ease your search. 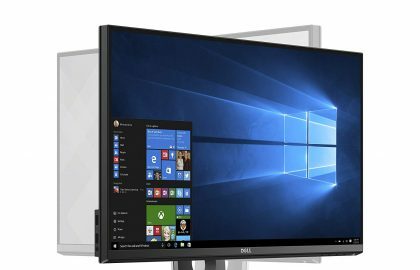 One of the latest products from the big manufacturers PG348Q is a monster with 34 inch diagonal and 3440*1440 resolutions. The monitor is inbuilt with Nvidia G-Sync technology, true 10-bit technology, and flashing, customizable lights. 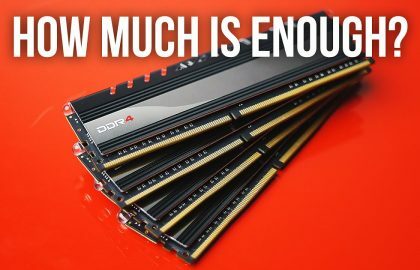 It is expensive and is specially designed for extreme gamers. With an aspect ratio of 21:9 a more conventional ratio while comparing to other devices and 34 inch diagonal, Asus ROG Swift PG348Q gives you a peripheral vision of gaming. It is curvy in nature which keeps everything looking clear in the extreme corners. The resolution is of 3440*1440 which helps in delivering high clarity images and high pixel count and broad screen mean the Asus delivers a pixel density of 110ppi. Its pixels are denser than 1080p and 1440p panels which means games are sharper. The 110ppi density isn’t quite as good as the majority of 4K panels, however. There will be a less need for graphics cards as PG348Q is using 4.9 million pixels as some 4k monitors are using 8.2 million pixels. For starters, there’s Nvidia G-Sync. It helps to avoid stuttering and tearing because it syncs the GPU’s frame rate with the refresh rate of the monitor. It offers a maximum of 100 Hz. The advantage is with the IPS panel technology which provides a 10-bit screen and is capable of rendering 1.07 billion colors, which is more than its competitor Samsung’s 8-bit panel. The PG348Q comes with a pair of 2W speakers – and they’re surprisingly good. They offer decent volume and punch, and a reasonable mid-range with a satisfying amount of detail. It has a sleek design with the base is covered with LED that project the Republic of Gamers logo downwards in a dramatic orange tone. The stands are off three wide legs which is finished in gunmetal grey. You can go through the below-mentioned table for Specifications. While taking a comparison with its rival Samsung S34E790C it is wider and taller in nature. Asus weighs 11.1kg more than a kilo heavier than its competitor. The legs of PG348Q stretches 297mm front to back – more than the 276mm of the Samsung. You can adjust the height up to 115mm and 25 degrees of tilt and the panel can swivel from side to side. It also has 100mm VESA mount compatibility. The on-screen display which is controlled by a joystick, which is the same method used in Samsung. Asus has loaded the PG348Q with DisplayPort 1.2 and HDMI 1.4 connections, plus four USB 3 ports, all of which are fine. Samsung’s screen only differs by including a second HDMI connection. It produces punchy colors with a contrast ratio of 1,055:1 and has got a brightness level of 285 and the black level of 0.27 which is quite reasonable. While taking the above parameters Samsung S34E790C performed well with a 320 nit backlight level and a contrast ratio of 2,133:1. On calibration, PG348Q delivered a better set of results which involved turning the green slider down by two notches and raising the brightness from its default of 80 to 85. One of the gigantic product from Asus with its features resolution, diagonals, curved design and it has git its own advantages over 4k screens. The PG348Q includes Nvidia G-Sync, speakers, numerous ports and plenty of versatility alongside some of the most outlandish monitor design I’ve ever seen. And, importantly, it offers decent quality: the Asus delivered excellent results in every benchmark, and its uniformity was surprisingly impressive. It is expensive in nature and if you are looking for featured pack monitor with G- Sync you will be rewarded. 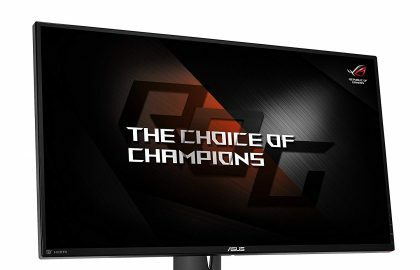 Asus PG279Q comes up with Nvidia’s G- Sync Technology with 27 inches, 2560*1440 display with an IPS panel. The maximum refresh rate is 165 Hz. The price is a little bit on a higher side while taking 1440p displays though. Asus PG279Q comes up with a sleek design with a quarter inch thick bezels with a large triangular stand neck and red LED backlit accents. It looks pretty professional with its wide stand base and the height adjustments, swivel movements, pivot, tilt, rotations all are provided by the stand neck. Overall it gives a good office display. The drawback in the design part is the backlit logo is not so bright and distracting, and it can be turned off if desired. In the connectivity part, PG279Q offers HDMI .4a and a display port 1.2a. The two USB 3.0 ports and tucked away near the video inputs so its bit difficult to use. The lower right-hand flank of PG279Q is comprised of on-screen menu which operates a bit differently from others. The top button is actually a joystick which is used as an option navigator. The other buttons are situated from top to bottom mainly the exit button, a turbo button for changing the refresh rate, the power button and a quick access button for gaming related settings. The differentiated scheme works really well which is helped by the fact that the joystick itself is small, smooth and requires little effort to use. The major feature of PG279Q is the refresh rate. It offers a refresh rate of 165 Hz, not on by default. The monitor set to a 60 Hz refresh rate out of the box and can be switched to 120Hz. The PG279Q offers two speakers two watts power each which is situated on the back side. It provides only bare minimum audio for games and is clear only at a medium level. Asus, the manufacturer provides 3-year limited warranty for PG279Q. The base of the performance of the monitor mainly comes from the displays and the viewing angle. The PG279Q provides bright and extremely bold image out of the box. Because of this, the games look well saturated and vivid. For the viewing angles, the IPS panel provides excellent viewing angle. In my testing, the maximum brightness reached 391 lux which is one of the brightness ones among all the monitors this is one of the best. While comparing to others the color deviations were less than typical monitors and the color error were well distributed, cyan and blue saw the highest ones. And most importantly after the calibration, the color accuracy dropped to an average of .81, the figure is nearly towards perfection and is one of the topmost among the similar products. The G Sync of different refresh rates namely 60,144 and 165, there is no much difference between gaming at 144 Hz and 165 Hz. 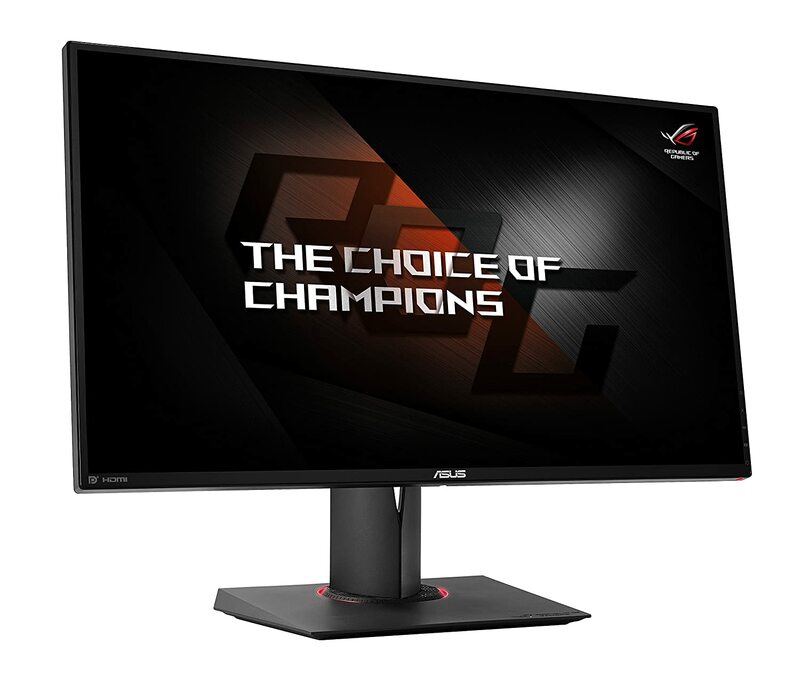 Asus ROG Swift PG279Q the next one to PG278Q ensures customer delight with features like image quality, high refresh rates, G- Sync frame synchronization, attractive design, IPS screen etc. At the same time, it has its own demerits like dark gamma curve which leads to visibility issue dark games. What it makes the differentiation is the high refresh rate. It sets new standards for G- Sync gaming monitors and peoples choice for a stupendous gaming experience. Nowadays companies are coming up with excellent featured gaming monitors in order to stay in the competitive field. However, Acer and Asus are pretty much ahead in this category. They are coming up with products with a very fast screen, G-Sync, ULMB, high refresh rates which satisfy the entire needs of a gamer. In response to Asus ROG PG258Q Acer comes up with Predator XB252Q. Both shares the same 25” FHD/TN panel with a native refresh rate of 240 Hz, Nvidia’s latest module G-Sync, ULMB up to 144Hz and adds an HDMI 1.4 input to the mix. 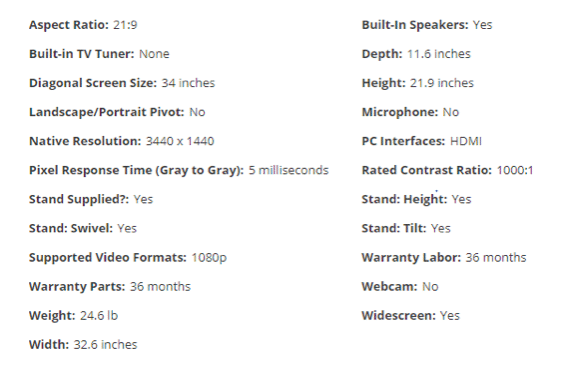 Let’s take a look at the specifications and performance of Predator XB252Q. The specification is almost similar to both products and when it comes to selection it will be purely based on price and brand. The XB252Q undercuts Asus by around 70$. When you take the design part Asus had incorporated a neat spaceship aesthetic to its ROG products with lighting comes from the base. It comes up with IEC cord because the power supply is internal and the features are listed clearly. The video signals are carried by the provided HDMI and display port cables and a v3.0 cable is in the box if you are in need of USB ports. 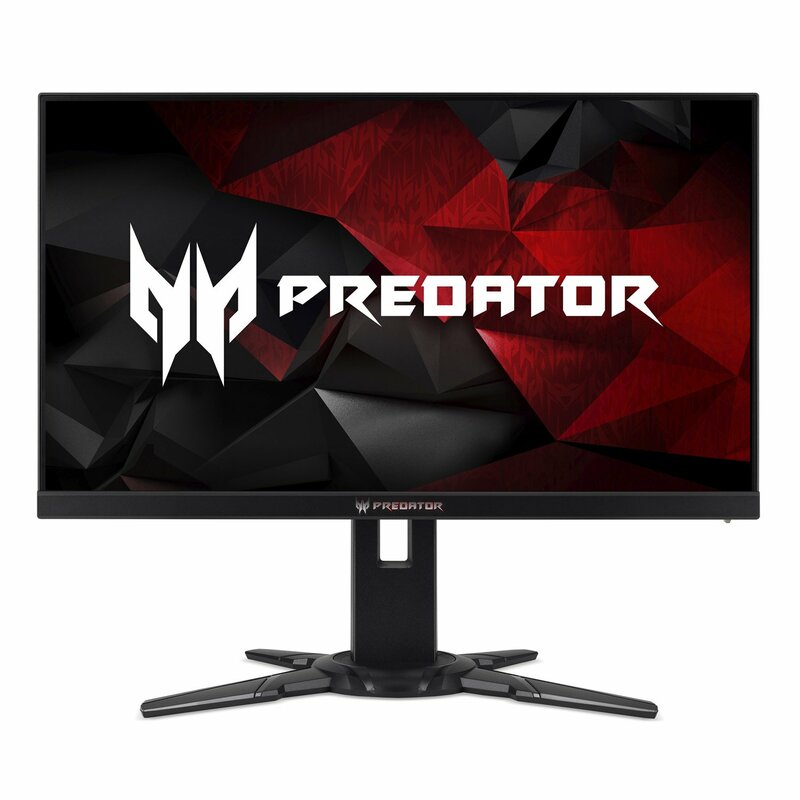 XB252Q comes up with a simple style with the panel almost look similar to other monitors with a bulge across the back and a predator logo on the front. The panel is composed of thin bezels with 21mm at the bottom and 7mm across the top and sides. The 3H hard anti-glare layer fits tightly for sharp images. In my testing, the monitor looks very stable and showed no play or wobbles in its movements. It can be adjusted to 450 swivels in each direction, 4-8” of height adjustment and 250 total tilt. The function keys are specified by a small icon which appears on the screen. The controls buttons and a firm-clicking joystick can be found around back side arranged horizontally across the bottom. The panels of XB252Q are thick with 3” and contain ample grill work to keep things cool. It comes up with a 2W speaker. The peripherals can be connected to two USB 3.0 ports which are situated on the left side. In comparison, Acer has a bit upper hand with picture quality that exceeds 400 nits and can run at 24Hz without overclock. At 144 Hz ULMB is available which makes it truly usable and a viable alternative to G-Sync for reducing motion blur and other artifacts. PG248Q comes with excellent features but somewhat at a higher price. One of the major features that all competitive gamers are looking is the sharpness of the display and fast response rate which are ensured by PG248Q. The refresh rate is 180Hz within the 1080p display. It also supports Nvidia-G-Sync technology but when you take the prize you can go for much better features if you are willing to spend a little more. 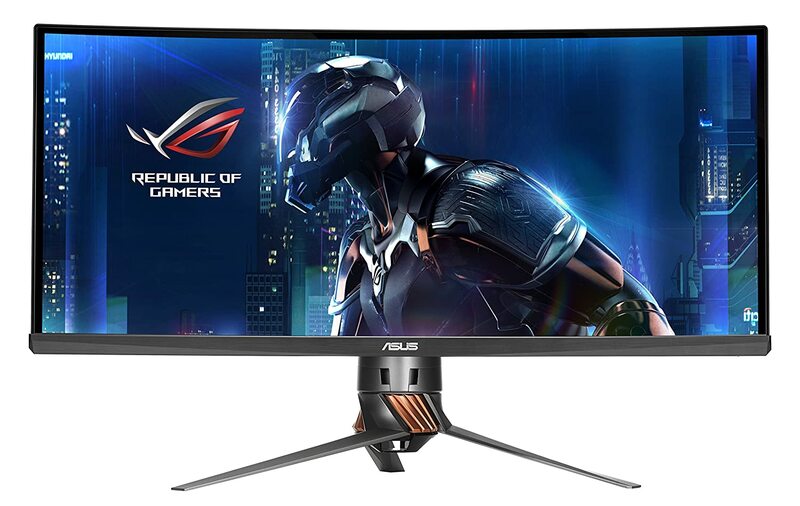 The Asus PG248Q has got a sleek look while comparing to the average gaming monitor with a sporting big and angular base with red highlights. In addition to this, a bright red LED light surrounds the display stand. The ergonomic features make PG248Q incredibly good. You can raise or lower the display about 5 inches, tilt the screen 20 degrees forward or backward or swivel it 60 degrees left or right. 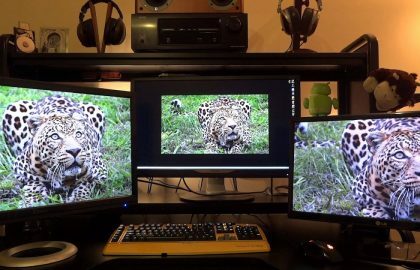 The monitor can be pivoted to 90 degrees into portrait mode. Your PC can be easily connected with the help of HDMI and display ports 1.2 inputs. For accessories, there are two USB 3.0 ports and also a headphone jack. One of the best things is the on-screen menu with big easy readable text makes it more user-friendly. The navigation nub and set of physical buttons help you to activate the monitor’s Game plus features and switch display modes with a simple tap. Its response rate is immensely good that I can’t find any kind of lag in my testing. As already said it is a 24-inch monitor with 180Hz and 1080p screen. It is mainly made for competitive gamers and it provides enough colors even I can easily distinguish among the various cartoon characters on the battlefield. In the brightness test, it registers an impressive 341 nits of brightness. It supports Nvidia G-Sync technology which helps to eliminate screen tearing by syncing the display directly to your PC ‘graphics card. It can switch the refresh rate from 160Hz to a speedier 180Hz without affecting the smoothness of the play. Asus monitor comes with six display presets. The racing modes reduce input lag and the scenery mode was bright and colorful enough. The RTS/RPG mode helps to identify the characters and FPS mode ups the contrast level. sRGB mode helps for viewing photos and a cinema mode that packs darker blacks and deeper saturation. 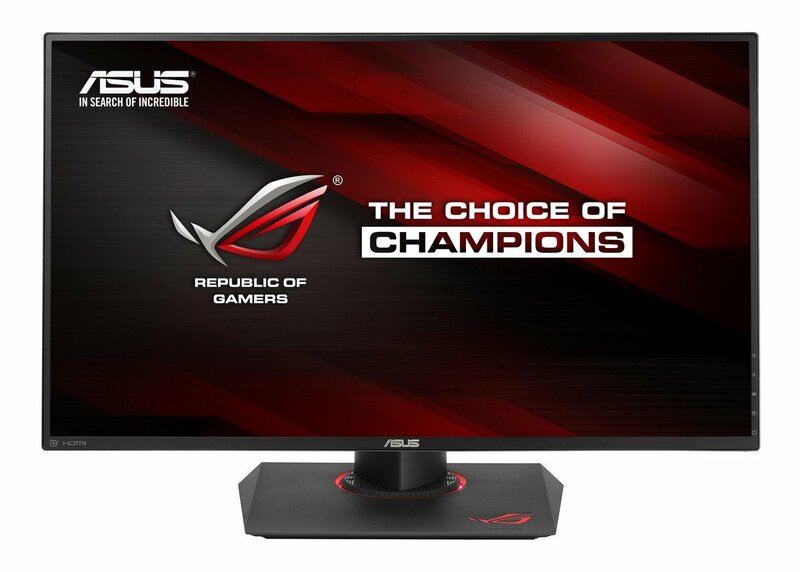 The Asus PG248Q, a feature-packed gaming monitor largely delivers its promise with 24 inches, 1080p display, G-Sync technology etc. One of the drawbacks is it is priced a bit higher. Specially designed for gamers Asus ROG Swift PG278Q is used Nvidia’s G – Sync technology with 27-inch WQHD monitor. Most gamers use the powerful graphics cards at 60 frames per second and will end up in degrading your picture because your monitor can’t keep pace with your CPU. You won’t find these kinds of issues in ROG Swift PG278Q because of Nvidia’s G Sync technology, which is built into the monitor. The 27 inch PG278Q is having a refresh rate of 144Hz with a resolution of 2500 by 1440(WQHD), twisted Nematic Panel (TN) and a millisecond pixel response which delivers excellent, sharp blur-free gaming experience. In addition to the above, it features crosshair aiming, turbo hotkeys and LED lighting effects. The PG278Q comes up with an edgy look with 25-inch thick matte black cabinet bezels. The matte bezels are situated on the front and V-shaped air vents on the back. The monitor can be adjusted with 37-degree tilt adjustment, 4.7 inches of height adjustment and for viewing in portrait mode a 90-degree pivot range is possible. The mounting arm swivels 120 degrees at the base and it is surrounded by a ring of LEDs that glows red when the light in motion feature is enabled in the onscreen menu systems. In order to hang the monitor on the wall, you can use the four mounting holes on the back. One of the drawbacks of the monitor is it has got only one video input, the full-size display port 1.2 port needed to run a G-Sync. The three USB 3.0 ports are situated at the back of the cabinet and the four buttons including the Power Button, five position joystick buttons are situated behind the right-hand bezel. Out of this, you can use the turbo button in order to toggle between the three refresh rates 60 Hz, 120Hz & 144Hz respectively. The game plus hotkeys allow you to choose one of the four crosshair overlays for more accurate aiming. For changing the menu system and settings you can use the joystick button, but the adjustments are limited to brightness, contrast, color temperature and ULMB feature. The manufacturer Aus covers the PG278Q with a three-year warranty on parts, the backlight, and labor. It comes up with USB upstream cable, power code, resource CD, and a display port cable. While testing PG 278Q s G sync performance using Nvidia frame capture analysis tool( FCAT), which helps to toggle between G- Sync, V Sync On and V Sync off modes, I found no screen tearing when V – Sync disabled and G- Sync enabled the action as much smoother than V Sync enabled. While testing the monitor the PG278Q displayed every shade of gray but it was not sharp while comparing to IPS monitors. I can say the color accuracy is good, but not that perfect. The red and the blue are perfectly covered, but the green misses. In the power consumption area, it used 39 watts of during my testing. One of the excellent choices for gamers ROC Swift PG278Q provides stupendous G Sync technology, speedy pixel response and refresh rates and an excellent ergonomic stand makes it perfect one for gamers. 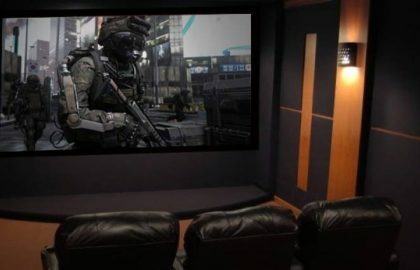 In comparison with other big-screen monitors, one of the drawbacks is it has only one video input as mentioned earlier but the other enhanced features make your gaming experience better. It offers solid gaming performance with user-friendly features and armed with Nvidia G-Sync module and 144 Hz panel. 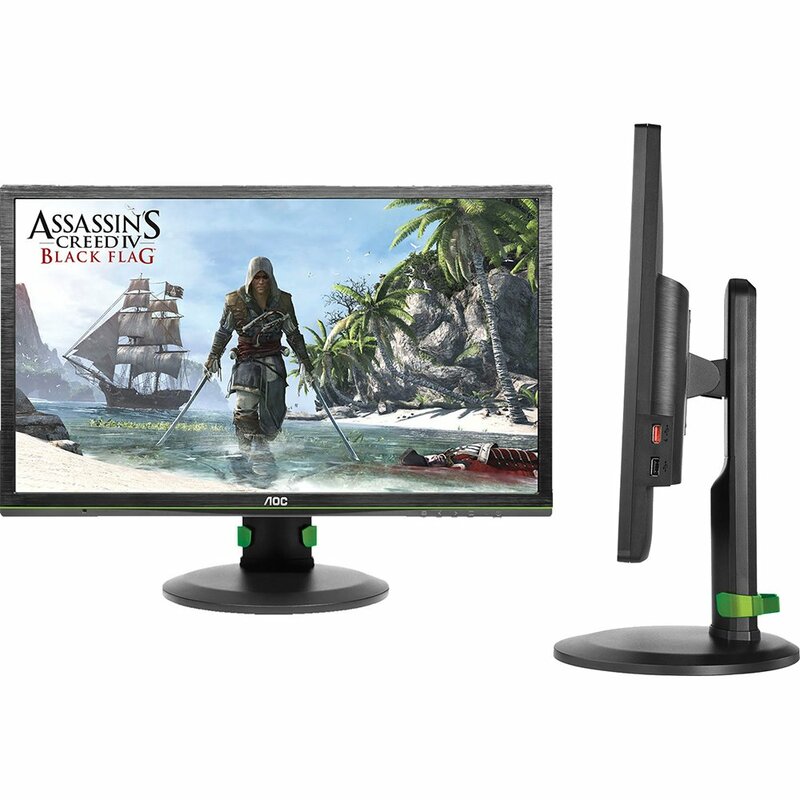 The monitor is equipped with Twisted-Nematic (TN) panel which consists of Nvidia’s G-Sync display technology. This advanced technology helps to deliver smooth stutter-free gameplay without tearing and input lag. It has got a speedy refresh rate of 144 Hz. Another important feature is, it consists of a built-in USB hub and an adjustable ergonomic stand. One of the drawbacks of this product is as mentioned earlier it has only one video input and suffers from narrow viewing angle. The panel size of G2460PG is 1920 by 1080 with a 2-inch matte-black cabinet and half inch bezels. It comes up with height, tilt and swivel adjustability. For more viewing experience the stand helps you pivot the panel 90 degrees for portrait mode and also comprise of a cable management bracket. The on-screen menus are navigated through four function button which is situated at the bottom bezel. Two of them are a hotkey for Dialpoint crosshair feature and other two are for Ultra Low Motion Blur (ULMB). The Dialpointfeature helps you to aim at your target. 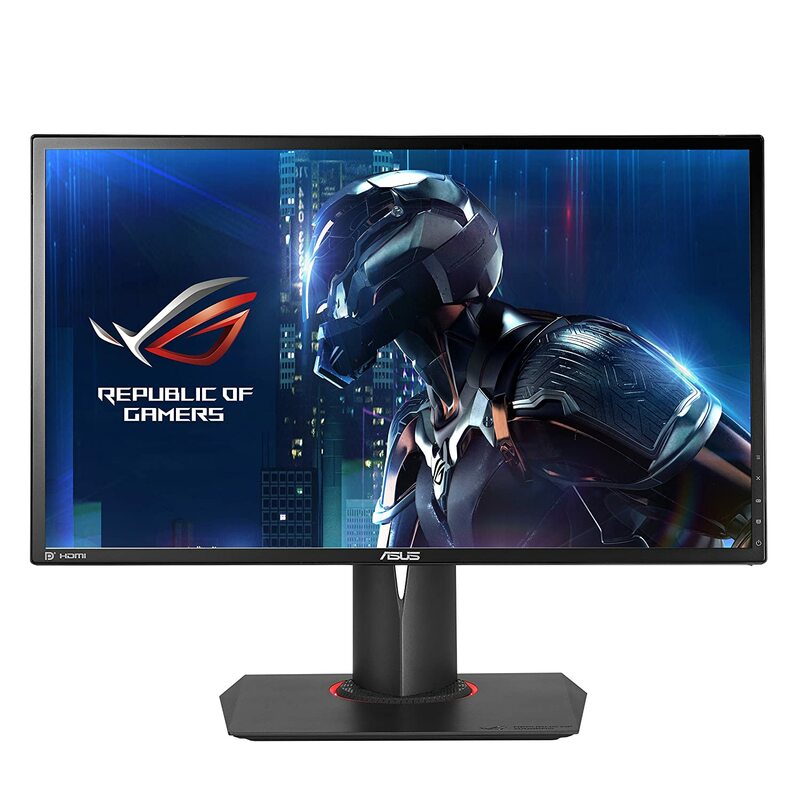 G2460PG contain one display port 1.2 input, which is necessary for utilizing G-Sync technology.While taking a comparison with similar products only BenQ XL2420G offers multiple video inputs. In addition to G2460PG is equipped with three USB 3.0 ports in which two of them are mounted on the right side of the cabinets and one of them acts as a rapid-charge port for quickly charging USB peripherals, such as smartphones and tablets. The monitor is covered by a three-year warranty on parts, labor, and backlight and comes with display port cable and CD containing drivers. One of the main feature i.e. G-sync performance of G-2460PG’s nearly identical to every other G-Sync monitor. While testing G-Sync, V-Sync-on and V-Sync-off modes there was a noticeable difference. There are stutter and hint of screen tearing when G-Sync was off and the action is much smoother when G-sync is on. The G2460PG didn’t produce any noticeable lag and the response towards keyboard control was excellent. In my color testing, it produced accurate red and blue colors but the greens were slightly off. In the case of viewing angle, the picture becomes dark at around 40 degrees from center when viewed from a bottom angle and washed out when viewed from the top. The G2460PG consumed 32 watts of power because it doesn’t offer any eco power saving modes which are high while comparing to other monitors. The monitors with 144 Hz refresh rate, G-Sync circuitry, fast pixel response it satisfies the needs of gamers. It has got a fully adjustable stand, USB ports with a rapid-charge capability and delivers accurate colors. It is equipped with multiple video inputs and it is one of the editor’s choices for a midsize gaming monitor.